Bowling is a sport that is liked by many. People choose to spend a good number of hours over the weekend at the gaming parlor or take part in professional tournaments. Though it might seem to be a pretty easy game, it requires a great deal of technique. To top it all, what is most needed is the perfect pair of shoes to go with it. It is very important that you choose the right shoes to wear while bowling. In a hurry? See our #1 bowling shoes for men pick at Amazon. It matters a lot as to what kind of shoes you are wearing, as wearing wrong shoes can hamper your bowling. Many prefer to go for rented shoes as they don’t want to spend money on bowling shoes right at the beginning. They rent out shoes from the bowling alley where they can rent at a cheap rate. However, it is always recommended that you go for a new pair of shoes as it would be more beneficial for you as a beginner. Also, one must not forget that rented shoes have many drawbacks with it. Like, it can carry germs that can get transferred to your body before you even know. So, here is some guidance that you can follow to make the best decision as to whether you want a new pair of bowling shoes or not. Even if you are not that of a serious bowler, having your own pair of shoes is very important. Needless to say, you have to grab the perfect pair of shoes for this occasion. Depending on the bowling shoes, you will be able to create an impact on your performance. Well, let’s face it, even if you are playing just for fun, you’d hate to lose. Your bowling strikes would definitely improve with your shoes. Why you need your own shoes? That’s because you don’t want discomfort, pain or unusual slips to happen. An athletic styled bowling shoe looks like a standard gym shoe, but it is custom made for bowling purpose. 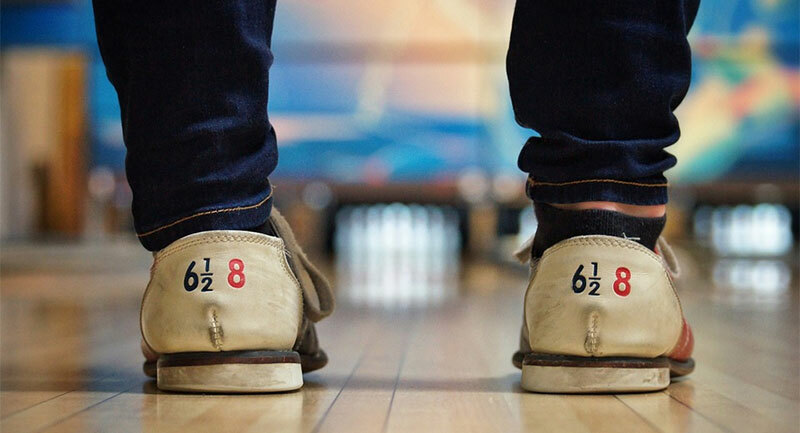 These types of shoes have a sliding on both sides, which is a good feature for all those who have just started bowling. This helps to have a better control of their bowling actions. Moreover, a performance bowling shoe is designed just for bowling purposes. They help you perform better. The performance bowling shoes serve different purposes individually. The bowling has variations depending upon left-handed or right-handed bowlers. They are different because of two factors, one is sliding, and the other is braking. If you are a right-handed person, then your right foot shoe is your braking shoe. Depending on this you can choose the style of bowling shoes for yourself. The sliding shoe features a sole that helps the bowler to slide during their performance easily. On the other hand, the braking shoe carries a sole that has traction and is mainly manufactured out of a material that has friction. If you play bowling professionally, try to buy a shoe that has interchangeable sole pads. As sliding is important when it comes to choosing the right bowling pairs, you should be sure about how much you want to slide while bowling. It is recommended that you pick one that has a flat bottom if you want to slide little. If you want more than that, then the best option for you would be to choose something that has a little bit of a raised heel in it. A bowler always has to adjust their soles depending upon the style preferences and the bowling surfaces. The soles have ratings from one to ten depending on their sliding capabilities. It depends on where you are; if you are in a warm and humid climate, then the floor will need more slide. But if you are in cold climate then you should opt for a shoe that has fewer slides. Naturally, there is a wide variety of bowling shoes. They are available in different sizes and shapes. It is sure that you do not want a shoe that is too tight in fit or a shoe that is too loose even to fit. You have to be very careful when you are choosing your pair of bowling shoes. If your shoes are ill-fitted, then it can lead to throwing you off your balance. Getting to know the size of your feet is essentially important in this case. Get to know your size by measuring it by a professional from time to time. Bowlers who visit the alley to look for rental shoes should stop doing that. In order to improve your performance, you should start considering buying a new pair of performance based shoes. Bowling shoes always help to improve stability and comfort. Bowling shoes that have lined pads and collars and cushioned insoles are ideal for providing you with comfort. They are beneficial in providing that extra support and stability by decreasing the movement of your foot inside the shoe. This feature helps in improving balance and performance. There are options for you to choose from a range of bowling shoes that have the feature of breathable uppers. This allows you to experience extreme comfort and coolness. Bowling shoes are effective in serving many purposes. Firstly, the sole of the shoe that you are wearing protects the approach. You cannot wear shoes that have dirt, mud or any other street particles stuck to the sole. Bowlers who are quite experienced with this game usually slide right up to the line that makes sure of the fact that they have a smooth and even motion-up release. Hence, here it is important that you pick the right shoes. Obviously, if you plan to take the game seriously, owning a pair of bowling shoes is very important. This is actually going to be a real investment. Also, the ones who are playing just for recreational purposes also have to see this as an investment. It is important for them to buy a pair of bowling shoes that are going to raise the bar of their fun. There are low budget bowling shoes. Whereas, when you are going for shoe rentals, the prices there can fluctuate at any point in time. Rental bowling shoes do not come in very good working conditions. They lack the luster of a new shoe and can be short in performing highly. You don’t want to come in contact with the previous owner’s sweat. The athletic bowling shoes are definitely perfect for the ones who are playing it for the first time. They are quite similar to the sneakers we wear. Good thing is that they are mostly affordable and you don’t have to worry about your pocket. But they are very similar to the shoes that are rented in bowling alleys. Professional or advanced players may not want to avail these shoes. They rather would opt for a braking shoe over the shoes that have two sliding soles. The worst part is that these pairs do not have the option of changing soles or heels. The consumers may have to buy multiple shoes in order to have varying slides and heels. Then there are performance shoes that work best for professional bowlers. These shoes come with a rubber sole that is present to create friction with the floor, and it has a slick sole that is there to provide sliding. These performance based shoes have soles that can be changed. If you are looking for quality, then this is the one for you. They are made out of high-quality materials so that they can last longer. Another good thing about these is that you can get a perfect size that is designed to fit you the best. Bowlers can switch their soles from time to time depending on their uses. You can say that these are quite expensive in comparison to athletic shoes. These may also feel uncomfortable to the bowlers who are new in the game. It is very important for you to know what you are buying. You must always carefully read the specific details about your shoes and go through any images that may be available. You may have queries, ask them and get your doubts clear. Also, when you have bought them, make sure that you examine the product well so that there is no flaw or damage already. If you are ordering it online, read the description available very carefully. These shoes are light, so there must not be much shipping cost. When you are playing any game, you have to arrange the proper costume or shoes to go with it because they are made to make your game better and help you to become a more advanced player.